CamCon 2016 registration opens soon. 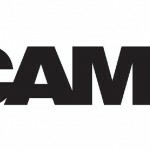 CamCon, billed as the ‘Worldwide Model Content Conference’ is slated to return to Miami May 31- June 3 for a 3rd edition. This event takes place at the same time and same location as XBIZ Miami which is SLS South Beach Hotel in Miami, Florida. CamCon, as formerly known as CammingCon. The name was shortened to CamCon in 2015. Registration opens March 1st 2016 and ticket prices are $125.00 for a day pass or $225 for both days with full seminar access. You must be over 21 to attend. See the Annual Adult Industry Events Schedule here.